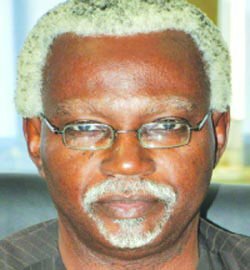 President Muhammadu Buhari has sent Chairman of the Independent Corrupt Practices and other related offences Commission, ICPC. Ekpo Nta, on compulsory leave. The forceful leave is believed to be a prelude to his sack. A letter from the office of the Secretary to the Government of the Federation, Babachir Lawal, informed Nta to commence the compulsory leave from October 26, Vanguard reports. A source said that the Chairman had earlier received two letters from the office of the SGF informing him to proceed on compulsory leave, which he allegedly ignored. It was gathered that at a meeting with President Buhari earlier this year, Nta had argued that his tenure would end on November 17, 2017, to which the President allegedly retorted that by his records showed the tenure of the ICPC head ends on November 17, 2016. Sources said Nta’s handling of corruption cases against former governors may have nailed him. Recall that the Federal Government was said to have concluded plans to file fraud charges against some former governors. With Nta out, President Buhari will shop for new strong man, who will work in conjunction with the EFCC to probe those accused of fraud. This is as the Code of Conduct Bureau, CCB, has invited some former governors and current office holders for questioning regarding assets declaration.